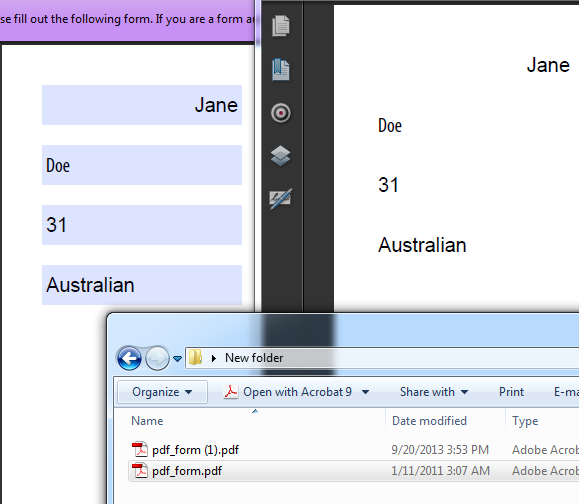 Actions in the Forms group deal with extracting data from PDF form fields and flattening PDF forms. 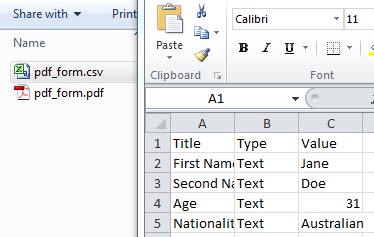 Debenu PDF Tools Pro enables you to extract all values stored in PDF form fields to a CSV file. The title of the form field, the type of form field and the value of the form field are extracted. Flatten all form fields in a PDF so that the data stored in them is converted to text objects or comparable objects and the form field objects are removed. After a PDF form has been flattened the content of the form fields becomes part of the pages content stream, rather than sitting above the content stream in a separate object. Users will no longer be able to fill in PDF forms after they have been flattened or easily change the content that they once stored.